This is far from being anything special but on our way out to Moab, we decided to take a side route through Capitol Reef to explore the backcountry off road trails out in the Cathedral Valley. 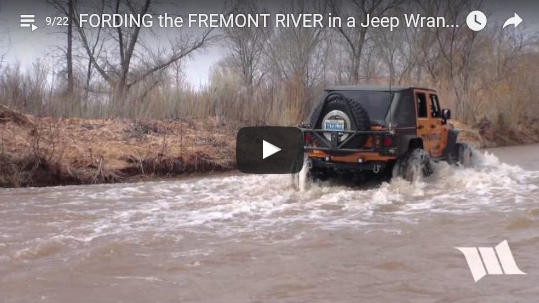 To access this trail from the Blue Flats, there’s a point where you have to ford the Fremont River and in this short video, you’ll get to see Rubicat, our 2012 dozer yellow Jeep JK Wrangler making its way across it. We hope you enjoy.